Kitchen… I spend A LOT of time in my kitchen and its a top priority for me to feed my family as ‘clean’ as possible. I shop 80 percent from the farm and we only do organic free range meats. I love that both my kids appreciate and enjoy whole foods, and both are involved in making their own food choices and planning meals. We certainly don’t eat perfectly, but we do strive for a healthy balance. We make it a point to cook at least 5 nights a week at home and yes, that includes eating together at the dining room table. So what’s on the chopping block for tonight? 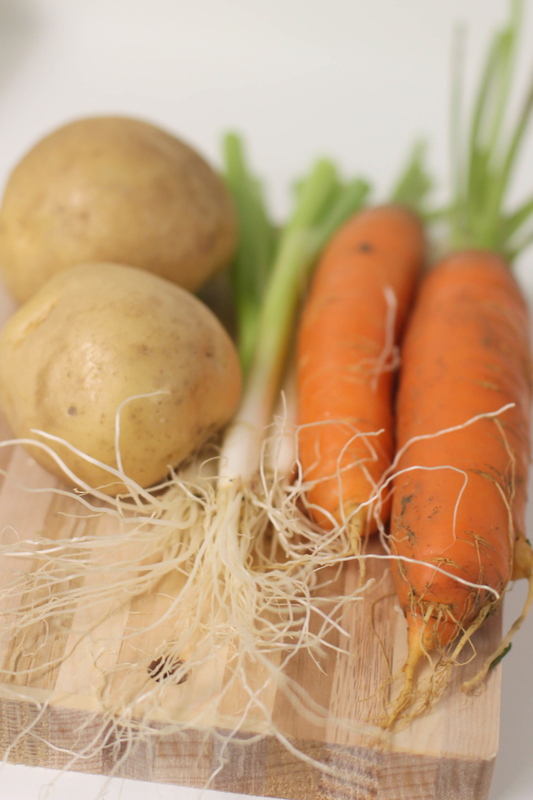 Carrots, green onions and potatoes. All straight from the farm and ready to be roasted with some olive oil and a little bit of garlic. Paired with a green salad and chicken on the grill, we have a perfect autumn dinner. I took this photo with my Canon DSLR using my 50mm 1.4 lens. My settings were ISO 400, shutter speed 1/80 and aperture F/2.8. I did the edit in Lightroom 4 where I slightly increased the exposure, decreased the contrast, increased the vibrance (to highlight the orange), and increased the luminance. The nights are drawing in, one of my favourite holidays is approaching, and pumpkins have found their way onto my front porch… and perfect little imitations onto my kitchen countertop too! My kids love clementines, satsumas, cuties, any kind of small easy-to-peel orange really, and so we always have some in the house at this time of year. 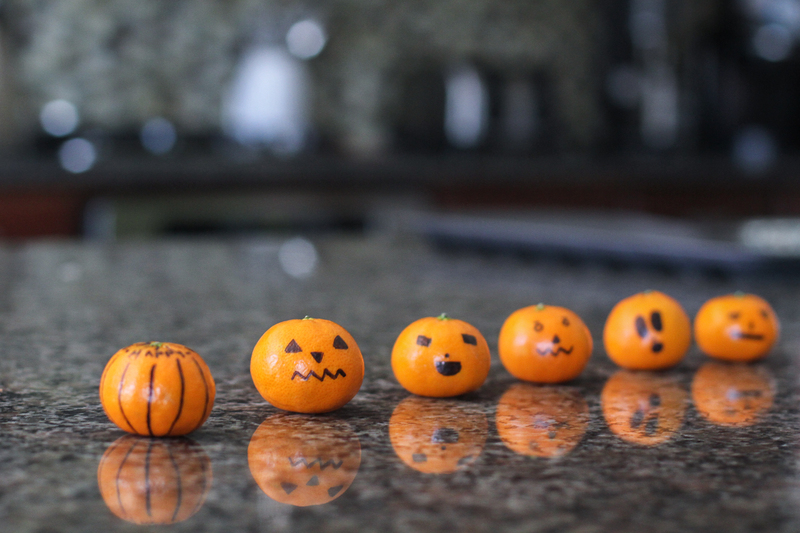 As a fun idea for this week of the blog, Ella took a few from the bowl and created her own funky little versions of carved pumpkins using clementines and a sharpie pen, and here they are laid out for you to see. I love the way that they are reflected so perfectly in the shiny granite surface. I took this image at around 3 in the afternoon, using my Canon DSLR paired with my 50mm 1.4 lens. I had lined up the ‘pumpkins’ and focused on the one that is second to the left, with my camera settings at f/2.8, ISO 800, and shutter speed 1/80. Post processing in Lightroom 4, I increased the contrast and clarity a little, then decreased the highlights, before finally cropping the image.